You may have used the Mobis in the classroom but found the devices large and difficult to use. 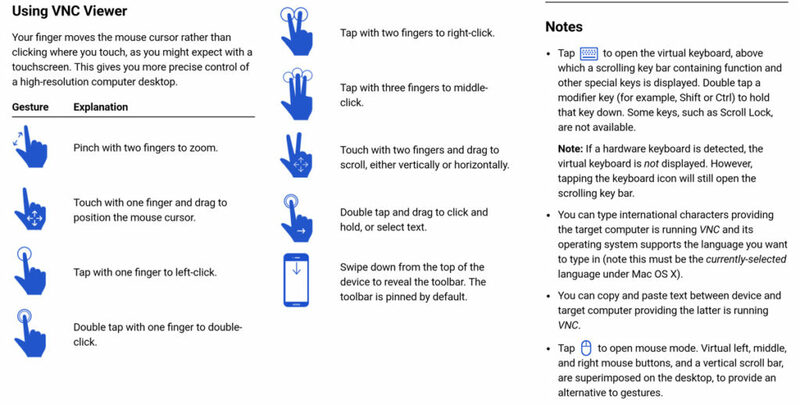 This tutorial will show you how to use an iPad, iPhone, or an Android device as a remote controller to your Smartboard (Hub). Download the VNC application on your device. …search for “VNC” and find the icon that looks similar to this. Note: Your IP Address # may change every couple of days, but once you get this process down you can easily pair your device pretty quickly. 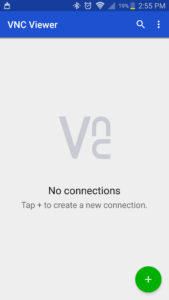 Once you open VNC on your device you’ll see a relatively blank screen with a large green + icon. 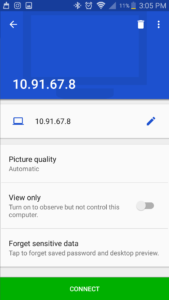 Click this icon and input your Hub’s IP Address from the previous step. You can name the computer anything you like in this step. I left my settings as is but you could, if you wanted to, use your phone as view only. Not sure why you’d want to do this but it’s an option. If you’re using your own Smartphone, such as an iPhone or Android you probably wouldn’t need to forget sensitive data. If you’re using your schools iPad, however, you may want to tap the “Forget sensative data”. This message will only come up once, and it just lets you know that you’re getting ready to connect. 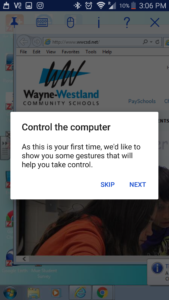 Click Continue to continue. This screenshot shows me successfully viewing my Hub. Your screen should look very similar to this. 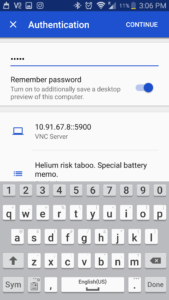 Click Next to be taken to an overview of how VNC works from your phone or device. Click Skip to jump right in. This is how your screen should look from your phone or device. Slide your finger around and take control! 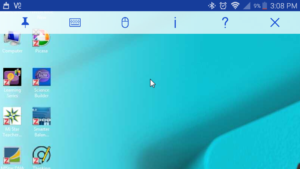 It may take a few minutes to get used to but now you can control your Smartboard from your device. As long as you’re on the same network this works. 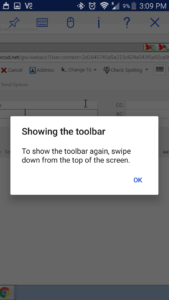 Be mindful of the toolbar. If it disappears you can get it back from swiping the top of the screen.